On Linbian OS, the default terminal application is LXTerminal. You can open it from Application Menu -> System Tools. MPP is the media process platform of Allwinner V5, including following components. This component deal with the media hardware initialization, other components initialization and component state management and etc. MPP Application Development Reference Manual, Chinese version, English version. ISP Module User Guide, Chinese version, English version. EVE Application Development Reference Manual, Chinese version, English version. Please refer to Demo programs. 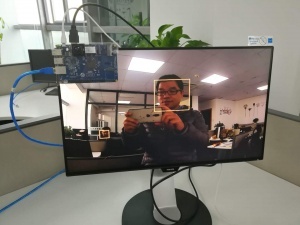 Allwinner release a series of MPP samples. You can download from Github. After downloading, You will get the following directory. And then you can know how to config the sample, some sample needed be configured,maybe config file is sample_xxx.conf. app/ includes a set of MPP samples with a command line based menu. sample_xxx/ is a separate sample of the scene. Root privileges is required when run these sample. e.g. 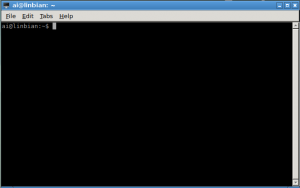 There will shows the following message when you execultive the cmd, and type the num according the menu. Tt also can be viewed by mobile phone, a simple IPC mode. 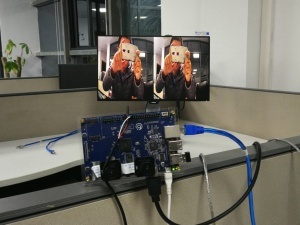 Face detection based on EVE. The picture of face crop and store at ./pic directory when detected. Motion detection based on CVE. The information of detected target was stored at ./DTCAResult.bin . Hunman counting based on CVE. The information of detected target was stored at ./HCNTResult.bin . The information of detected vehicle license plate was stored at ./VLPRResult.bin . The output is a 8bit-gray-scale picture, stored at ./BDIIResult.bin . 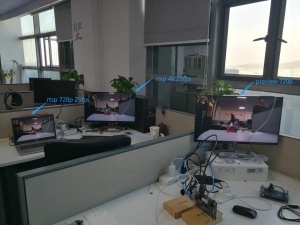 This is a simple sample for motion detection via opencv. 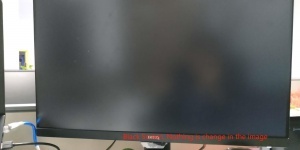 When running this sample, if the picture captured by the camera is still, it will be black screen. 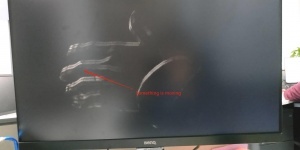 If there is a moving object, the outline of the moving object will be displayed. When the mean difference of the real-time image frame difference is greater than the sensitivity value, the following printing appears, indicating that there is a significant change in the image or something is moving.